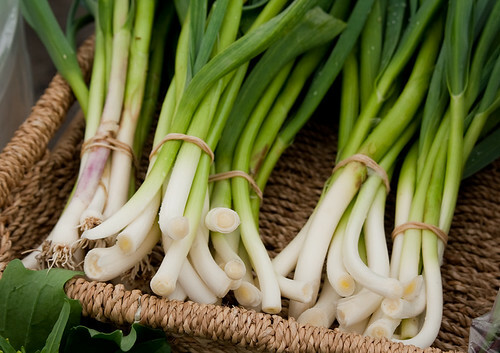 Local blogger Miss604’s got a great roundup of this season’s Vancouver farmers markets. 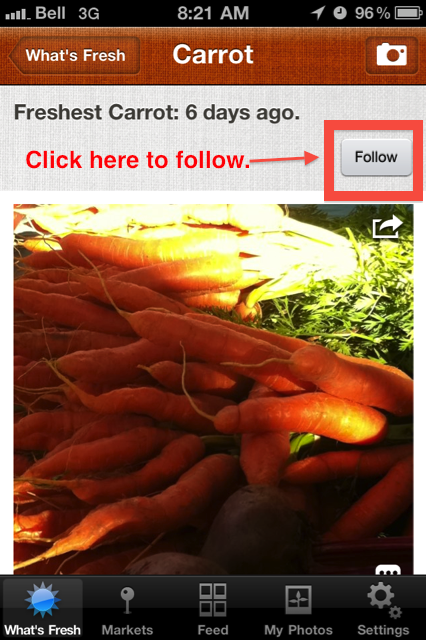 Don’t forget to grab our iPhone app to promote the local producers and show the community what’s fresh near them! See you all at the markets! 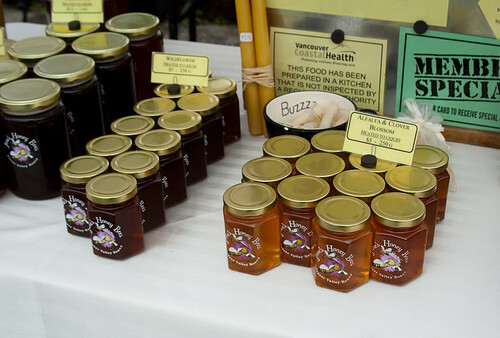 Trivia: Trout Lake Farmers Market is the very first business record ever on Foodtree! 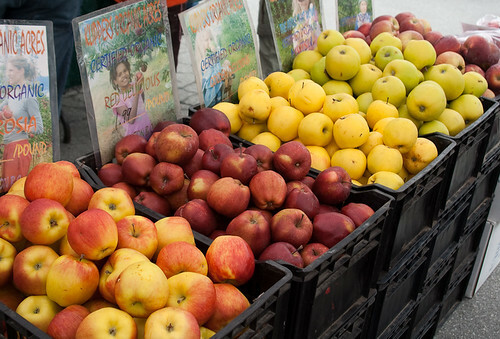 Should Farmers Markets Be More Regulated? We came across this article on msnbc.com about farmers markets and food safety. Demand for local food is on the increase and consumers are turning towards farmers markets as their source for fresh food. But the rise in popularity is accompanied by a parallel rise in concerns about how best to keep these local consumers safe from the same pathogens responsible for nationwide outbreaks of salmonella, listeria and E. coli in commercially produced foods. Although the fare sold at farmers markets often is perceived as more wholesome than what’s available on grocery shelves, there is no evidence that it is less prone to cause foodborne illness — and it generally receives less federal and local oversight. 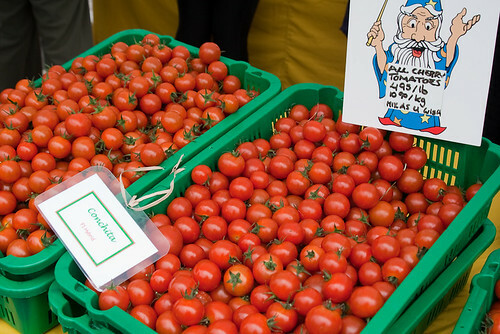 Read the full article here: As farmers markets thrive so do concerns. What do you think about this issue? Is your perception that food purchased at the farmers market is safer than store bought food? Do you think Farmers Markets should be more regulated than they are? We’re really excited to share the latest version of our Foodtree iPhone app, available as always as a free download in the App Store. In response to user feedback we’ve added exciting new features to make your food photo sharing experience more social and fun. 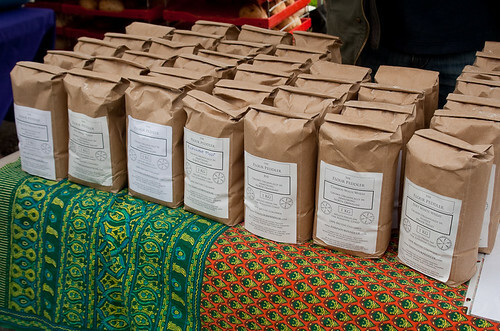 We’ve also expanded into new farmers markets in both Canada and the US. 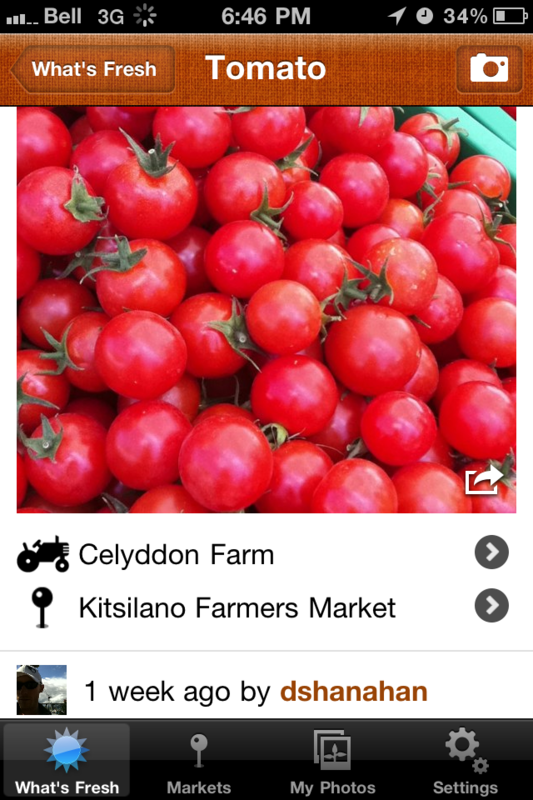 If you live in Calgary, Edmonton, Toronto, or Denver you can use the app to share photos at some of your local farmers markets. If you don’t see your favorite local market in the app just leave a comment or let us know on twitter. We’re adding more markets all the time, but especially as users request them. 1. Leave comments on photos: Users now have the ability to make additional comments on their own photos, and also comment on the photos of other users. 2. Follow people and food sources: Users can follow other photo streams including their favorite farmers markets and other users sharing beautiful photos of food. These appear under the “news” feed menu, separate from your own photos. 3. 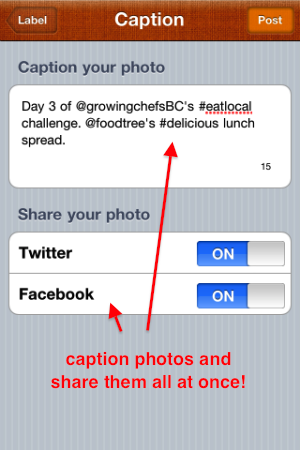 Share your photos on Twitter & Facebook: Send your freshest food photos to twitter and facebook in one smooth step while sharing within the app. 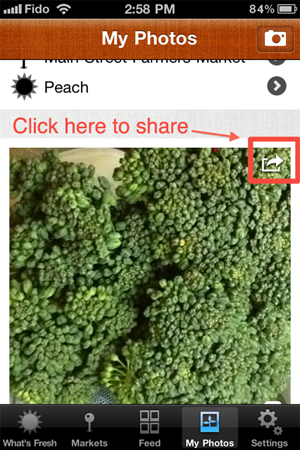 You can also share any photo you see in the app at any time. Just click the arrow icon at the top of each photo and you will have the option of sharing to Twitter, Facebook, or both at the same time. Download v1.2 of the Foodtree app from iTunes for free. As always, your feedback is appreciated! Our mission at Foodtree is to connect people with where their food comes from. With this in mind we’re highlighting Vancouver farms, producers, and food businesses we think do a fantastic job of contributing, promoting, and building the local food scene. We call them Food Advocates. About 24 Carrots Company: 24 Carrots Co. is a grocery delivery service in Vancouver that connects people with farm fresh seasonal food. The service is operated by Gavin Wright and Chris Thoreau, two passionate food people who are determined to redefine the food system from the ground up. They source all of their products from local farmers markets and urban farms, and operate just like a CSA but with more selection because they work with multiple producers. Deliveries are made by bicycle and all the produce arrives within a day of being freshly harvested. 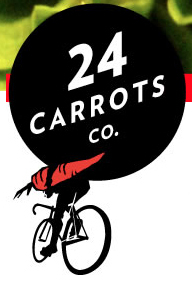 What we love about 24 Carrots Company: The idea behind the service is to bridge the gap between consumers and producers, and also to support local food businesses. It appeals to those who can’t make it to the Farmers Market but would like to take advantage of fresh local food. 24 Carrots can happily deliver the Farmers Market right to your doorstep. And on a bicycle no less. If you’re interested in trying 24 Carrots they have a variety of subscriptions available for their services. People can sign up at anytime through out the season. 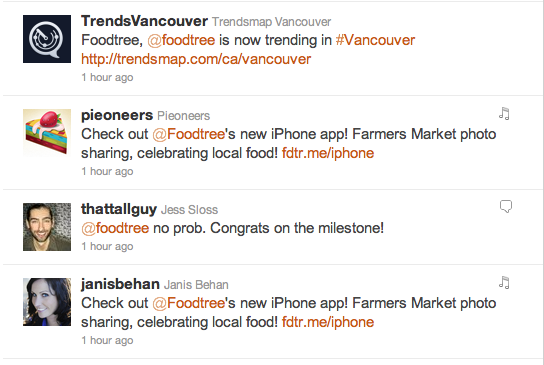 Next Wednesday the Foodtree team will be hosting our first ever #tweetup in Vancouver. We invite you to join us at the Main Street Farmers Market in Thornton Park from 4:30 to 6:00 pm on July 27th. Come out to support the farmers, buy fresh local food, and meet our team. 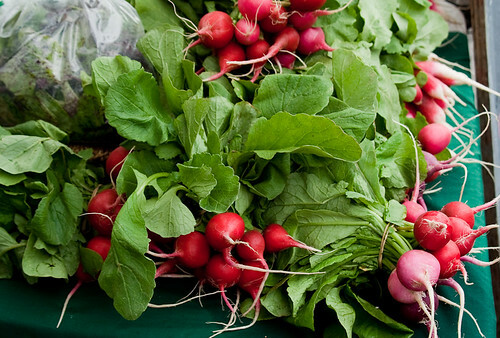 It’s the perfect excuse to come to the farmers market. We’ll also be demoing our iphone app, which allows users to share photos of foods that are available from market vendors. As an extra incentive we’ll be awarding market money to every person who uses the app to take at least ten photos at the market that day. 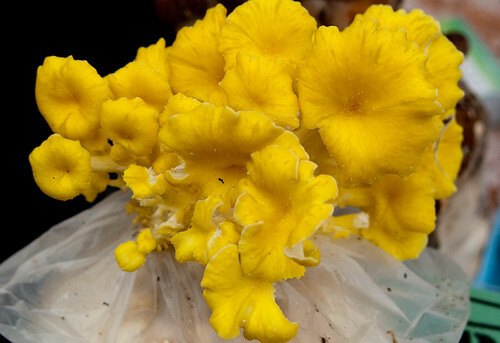 Please use the hastag #vanfarmers to help promote the market and the vendors. You can RSVP to our event on twitvite using twitter, and everyone is welcome. We look forward to meeting food geeks, foodies, and everyone interested in knowing more about where their food comes from. 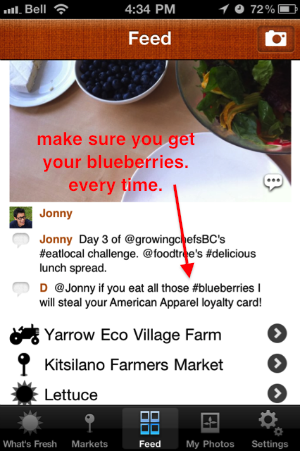 The Foodtree iPhone App Is Available! The Foodtree app is available today! Click here to download! We’d be extremely grateful if you’d also give our app a quick star rating + review as well. We’ll be watching the feedback closely for future releases! 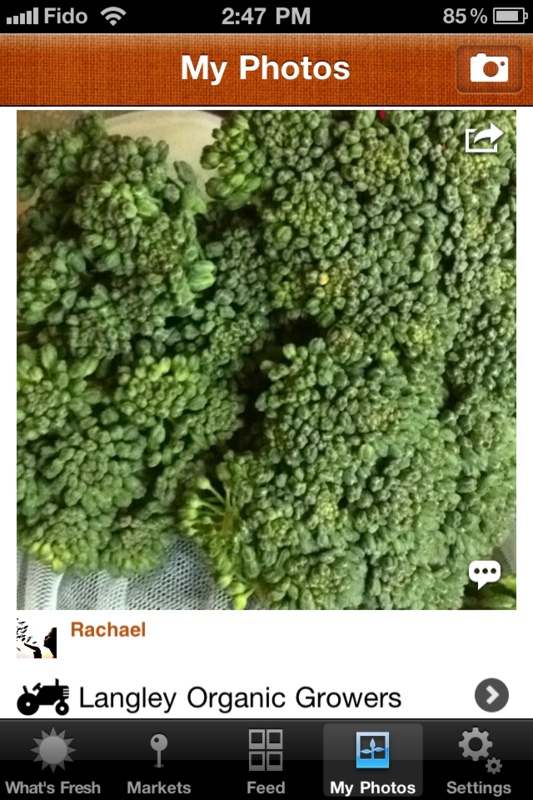 The app is a photo sharing app for celebrating fresh food! When you open the app you’ll see a What’s Fresh tab, which is a collection of the latest food photos from your local farmers markets, shared by people in your community. Think of it as a real-time visual guide for fresh food near you. Our app is meant to bring us closer to fresh food and the people who provide that food for us. As you take photos of the food around you, you’re asked to identify where you found it and where it’s from. As you navigate the app you’ll find photo streams for farms, farmers markets, and other food sources taken by you and other users near you. Each photo can be shared on Facebook and Twitter, which will create a web page displaying the photo and celebrating it’s sources. This is an opportunity for all of us to participate in our food community, while having a lot of fun and connecting with other food lovers. We really hope you like the app and look forward to making it even better as you give us feedback. Questions or just want to say hi? Email friends@foodtree.com! Just a quick warning…the app is only activated for Vancouver, BC and Boulder, CO…two of the world’s foremost food communities and home to a vibrant and growing community of Foodtree supporters. If you’d like us to activate your city’s food community, let us know here. Despite the rainy weather last Sunday, opening day saw the Kitsilano Farmers Market packed with people looking for fresh local food. The Foodtree team was in attendance talking with vendors, taking photos, and doing a bit of shopping of our own. 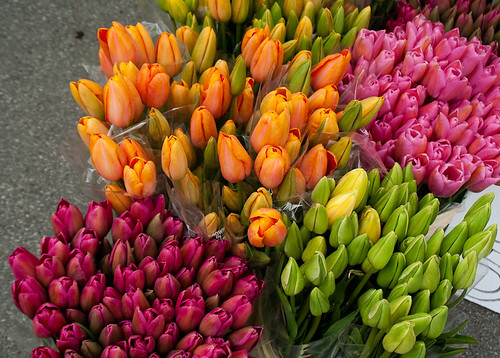 There was a great mix of tempting products available and I went home with baked goods, tulips, and my beloved asparagus. I took many photos that morning because everyone seemed to have something beautiful or delicious. Next up for the Vancouver farmers market are the openings of both the West End and Main Street Station markets at the beginning of June. As mentioned in our previous blog post, we will be launching an iPhone app in late June with a focus on farmers markets. We’re always looking for more beta testers so please add yourself to this form if you’d like to participate!